Even though it may have nothing to do with you, your client’s future SEO results affects your reputation as a web designer. While clients don’t understand that 50% of their website’s search results depends on what happens after the design and development of a site, their future results are still your problem. It is your reputation at stake, even though on-page SEO depends on the work done on the site after your part is done and dusted. 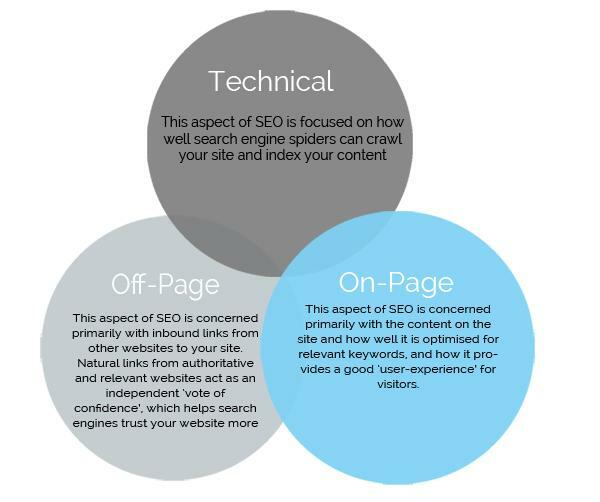 The elements of SEO; the web designer needs to be concerned with the technical and some on-page aspects. 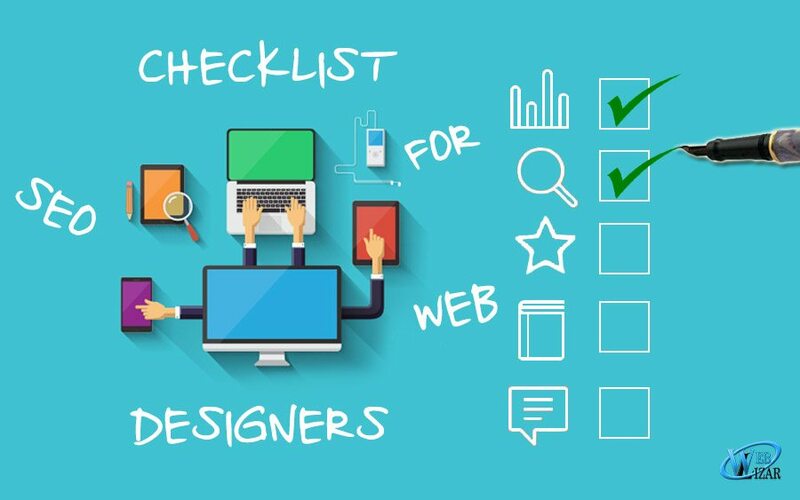 Which is why this checklist is essential for your team; to do all you possibly can to help your clients get the best possible search results, so that they rave about you as a web designer. The WordPress host handles the technical, security, administration and performance issues of the website. Support and technical help, is also a sought after commodity in the hosting scene. Given the amount of WordPress site out there, some hosting vendors have created solutions tailored made for WordPress users. WordPress specific hosts are highly optimized for the platform, and as such reduce the speed of the website which is a major search engine factor. Choose a responsive WordPress theme where necessary. If you’re not designing the site from scratch, be sure to select a theme that is mobile friendly. Categories must make sense to users, and should include keywords. Make it easy for users to navigate the site, easily locating the information they want. Is the site primarily designed for user experience? If the site is designed primarily for the user experience, it is likely to be search engine friendly. If the site needs content, work with a copywriter. The purpose of a website is to provide information to visitors, but it also needs to work to make visitors take some kind of action. Working with a copywriter who provides search engine friendly content is key. Ensure any links use the same format. Inform the client for future content management. Setup search engine friendly permalinks. The default WordPress permalink is not search engine or user friendly. The post name is usually recommended. Have you created a robots.txt file for pages that should not be indexed? This prevents search engines from indexing pages that should not be found by visitors. Where necessary, have you blocked the site’s search results from being indexed? This may be necessary because spam domains can create big problems for your client’s website and which have search engine repercussions. If you need to paginate, link pages together using the rel=next/prev attribute. When you have pages with long content that need to be paginated, Google sometimes views these pages as duplicate content, for which the site is penalized. WordPress creates a page for each image that is uploaded to the site. This may be bad for visitors and search engines who may consider the page to be low quality. Add a responsive buttons plugin. Another great option is Installing a WordPress button plugin to the site allows your client to setup mobile friendly buttons that convert more visitors to subscribers. Install a WordPress SEO plugin. Adding an SEO plugin like Yoast that helps your client more easily create search engine friendly content. Add an image optimizer plugin. Every time your client uploads an image to their site, it should be optimized for SEO with regards to speed. Using a plugin like WP Smush automatically “crunches” images to reduce speed. Add the Google Analytics plugin. This plugin will help your client easily monitor and track the site’s progress. When a website has schema markup in place, the website may be displayed in search results with those eye catching yellow stars, plus visitors can see what the site is all about, where the company is, what it does, how much their stuff costs, plus plenty of other stuff. It’s like an online business card in search results. Does the site need an HTML sitemap? Useful for users as something of a table of contents, the HTML sitemap is a map of the site which is added to a page. It also helps search engines make more sense of the website. The XML sitemap helps search engines crawl a site more easily in order to index it. It can be created using an SEO plugin like Yoast SEO. Using a free online tool, validate the sitemap to ensure it’s error-free. Force Google to “fetch” and index the site by requesting that it be indexed. Google does not guarantee that it will index any site faster, but it often does. Force crawl in Bing Webmaster Tools. You can also request Bing to index the site faster than it would had you not requested it.